Marty Wingate has done it again! 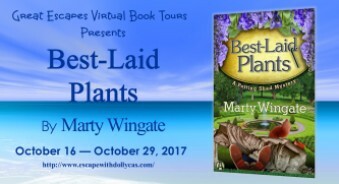 I have read all the books in the potting shed series of mysteries and she continually and consistently comes up with great plots, unique scenarios, quirky characters and all so brilliantly written! I love this series, and will cheerfully scoop up any mystery that Marty Wingate writes. 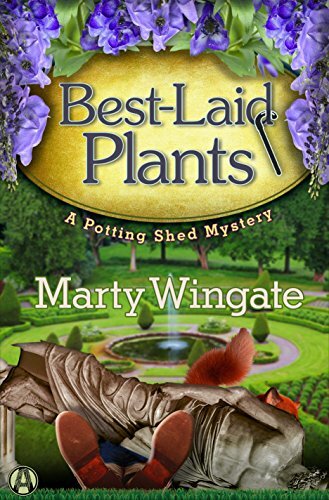 English village setting, quirky characters, lots of dry humor, and a murder, of course … Best-Laid Plants is the perfect cozy mystery. While the mystery is first class, it is Pru who makes these books a must read. Not only do I wish to see her triumph each time, I enjoy watching her grow as a person. 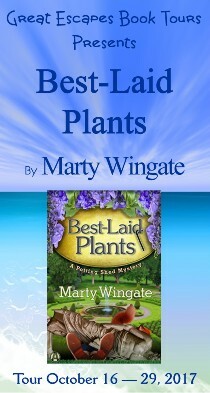 Best-Laid Plants is a wonderful addition to the Potting Shed Mysteries ‘garden’ I had a sense, when I first received a copy of “The Garden Plot” a couple of years beck, that I held something special in my hands. That feeling continues strong with Best-Laid Plants. I love the Potting Shed Mysteries. I’ve read several in this series, and other books written by Marty, and I’ve loved each and every one…This is a fabulous addition to this series.